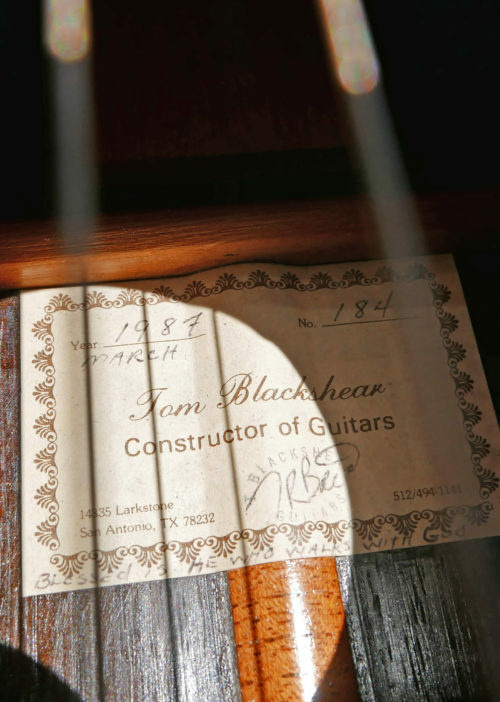 guitars especially are hard to find and in great demand (and rarely come to market. 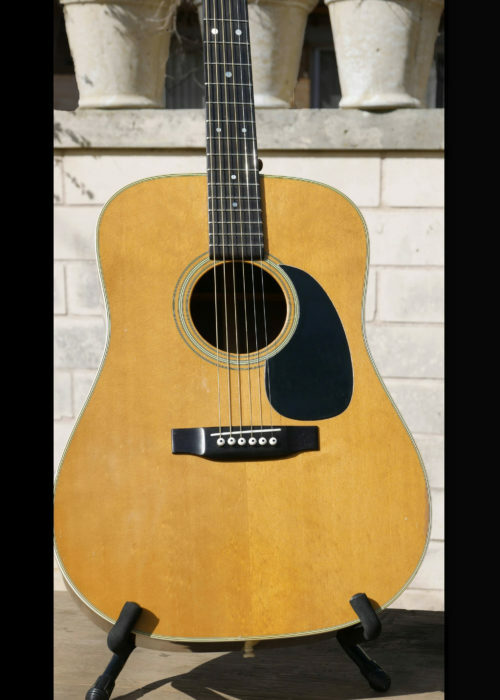 (There is currently one at Dream Guitars. 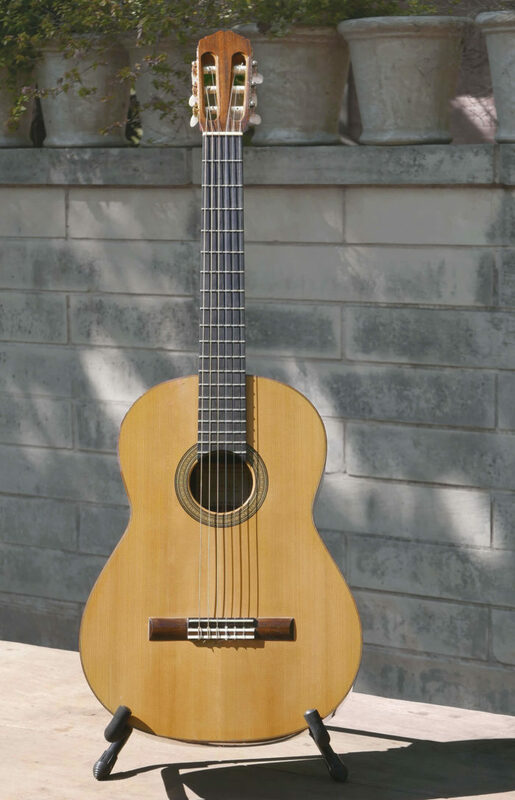 This guitar was built in 1987, and was based on Jeffrey Elliott’s “1943 Hauser” plan. 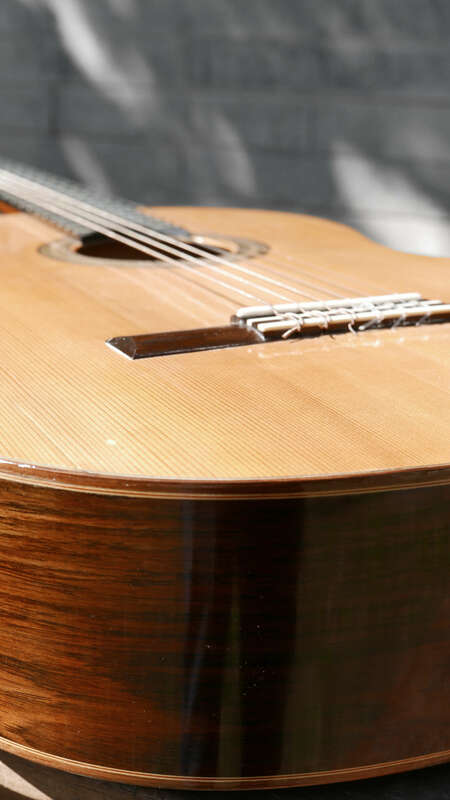 The tone is robust, and clear, with bright brazilian trebles, and the kind of nice string separation and clarity that an old German spruce top gives. 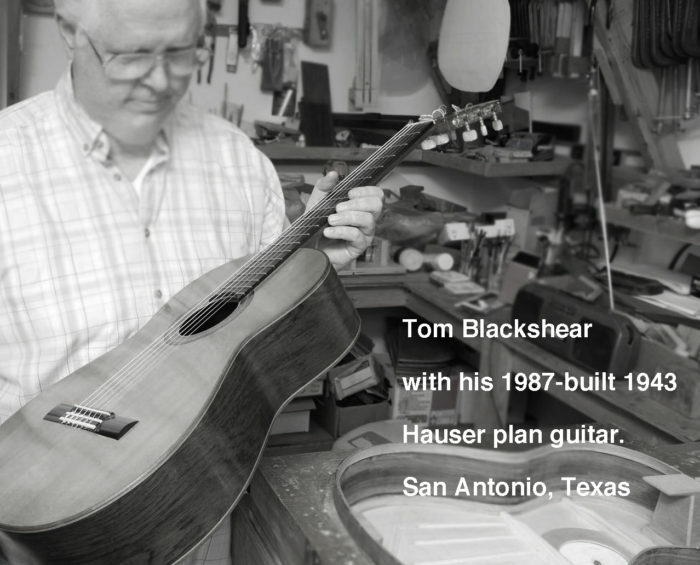 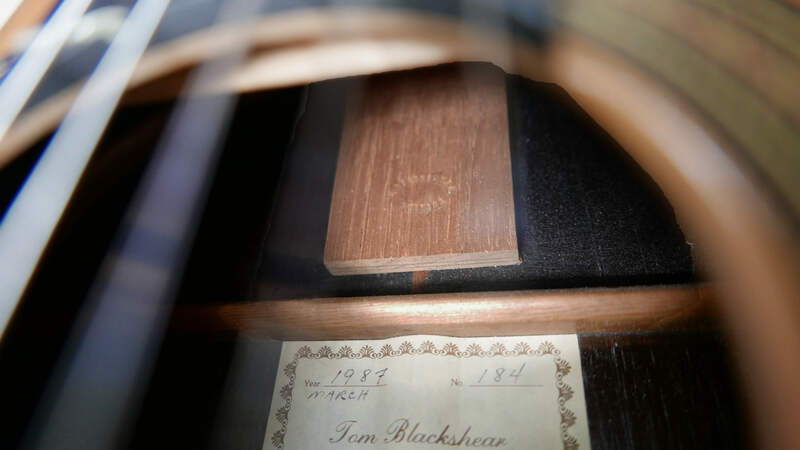 In spring 2015, in consultation with Tom Blackshear who inspected the instrument in person at his shop and advised on details, the guitar was sent to New York-based master luthier David LaPlante, one of the top finish experts in the country. 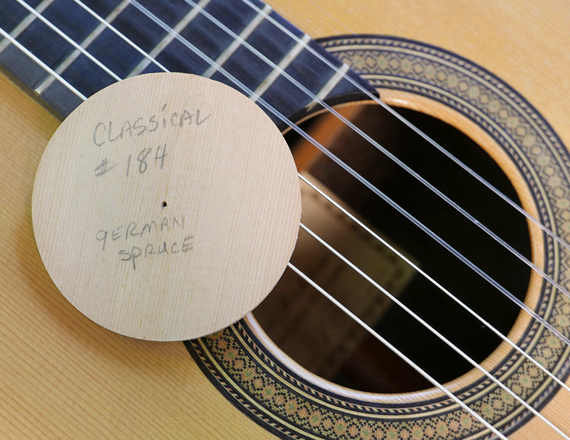 LaPlante did a French polish refresh on the top, back and sides. 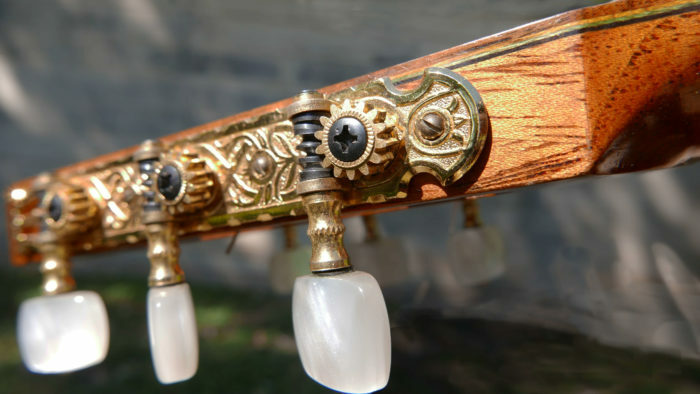 There had been a flamenco style clear tap plate installed by a previous owner, and that tap plate was removed, then LaPlante did the French polish refresh and the some addressing of minor tap-plate edge-shadows and various nicks. 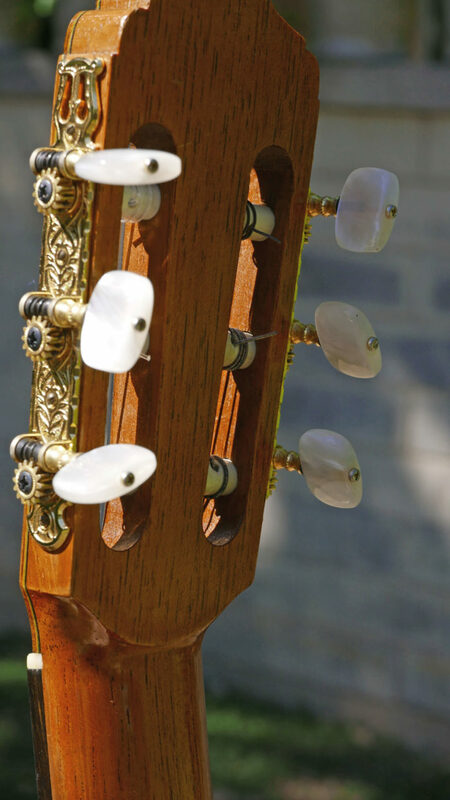 (note, neck, headstock were not touched and retain their original French polish). 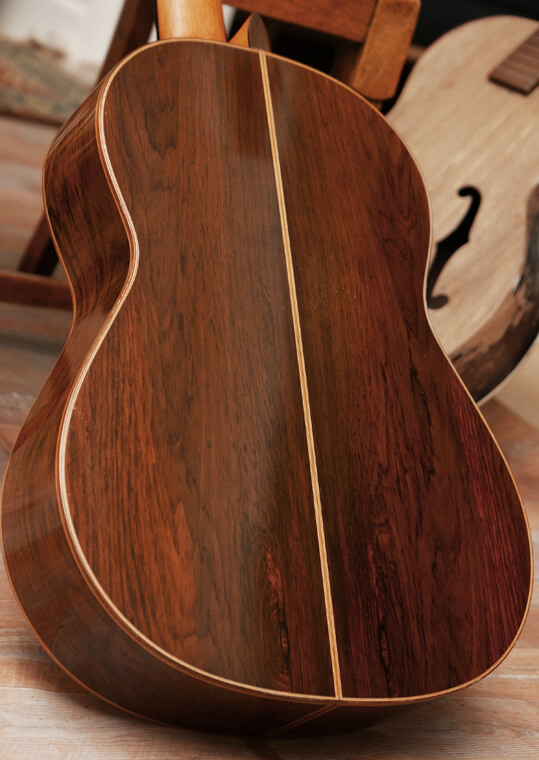 The result is a beautiful, thin, French polish that shows off the German spruce top and the Brazilian back and sides. 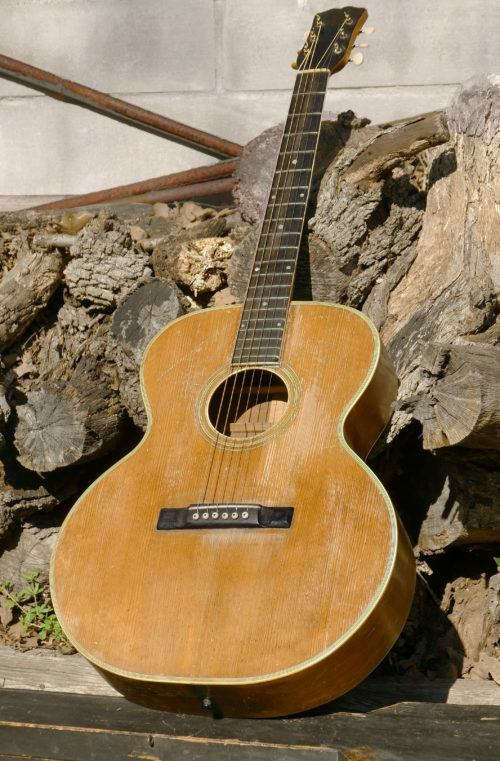 Amazingly, this guitar is paired with its original sound hole cut-out from the builder from 1987! 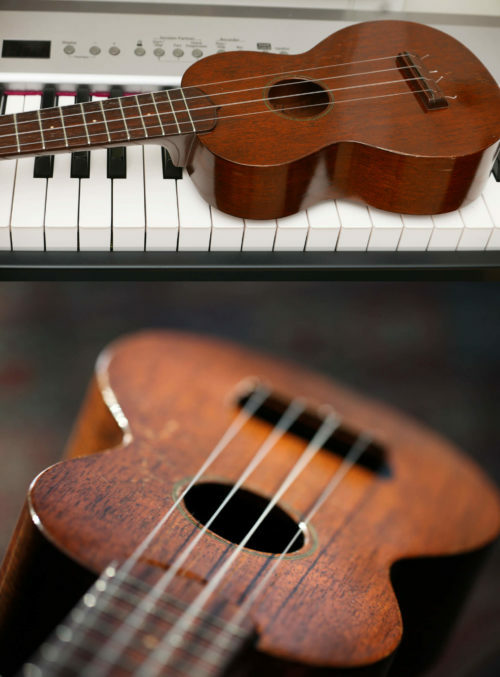 What a nice touch. See the attached photo showing the original cutout, with Blackshear’s original handwritten notes from the 1987 build right on the wood. 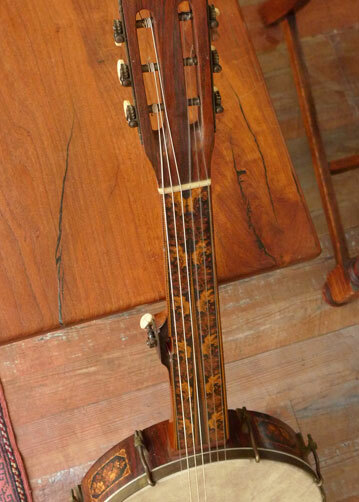 In a hard shell case.